A few weeks ago I featured a news item regarding the School Enterprise Challenge Awards Programme 2017 and called for 2017 entries. Here is an inspiring story of a 2016 winner. 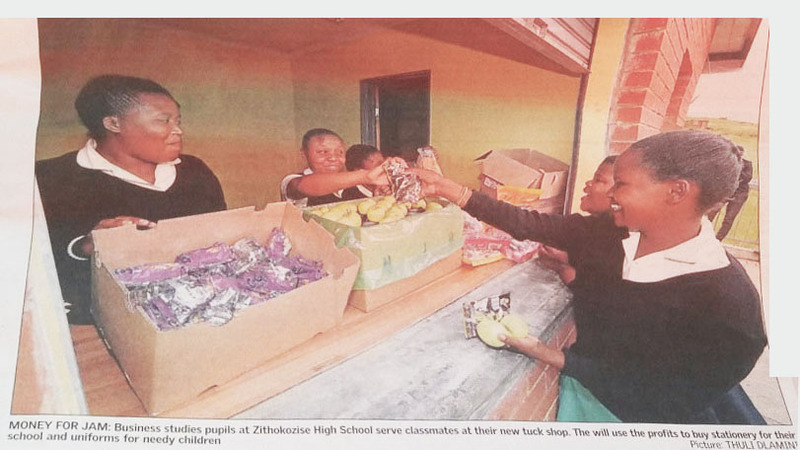 Learners at Zithokozise High School have shown outstanding innovation and entrepreneurial spirit in developing their business. Now in its second year, the Happy Day Tuck Shop won our Best Business Plan Prize in 2015, and since then it has continued to flourish. In 2016 it surpassed expectations and made a R1234.50 profit – almost three times the original estimate of R461! These learners were also able to set up another business which compliments their tuck shop, Happy Days Veggie Garden! Building on their excellent business plan in 2015 learners have taken the lead at every step of the process. 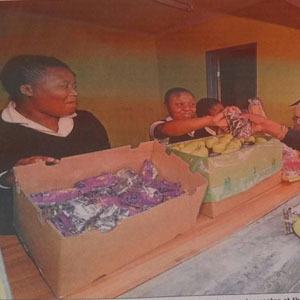 They conducted detailed market analysis and have found innovative ways to get the edge on their competitors – for instance, by opening their tuck shop an hour earlier when learners are on their way to school. They have also ensured the sustainability of the enterprise by establishing a mentoring programme, so that the younger learners will be ready to take over the business when the older learners leave. 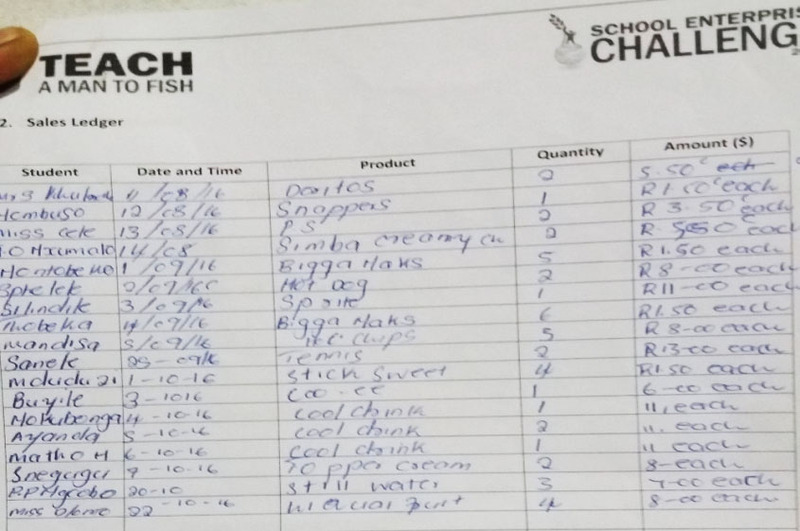 However, learners focused hard on ensuring their business is financially transparent and keeping good records for example sales and purchase ledgers (see picture above), keep track of receipts and participate in regular stock taking. Their focus on strong financial accountability mechanisms was what impressed the judges so much; through hard work and perseverance they turned their weakness into their greatest strength! It is clear that learners have benefited greatly from this enterprise; they are gaining better grades in business studies, and two learners have even set up their own business outside the school. Learners showed an excellent understanding of the ‘People, Planet, Profit’ criteria: all waste is recycled, and profits are used to buy uniforms for needy learners and educational materials for the nearby primary school. Learners also hope to set up a youth center in their school to teach unemployed youth how to start a business. It is clear that this is an exceptional business which not only benefits Zithokozise learners, but also the wider community.